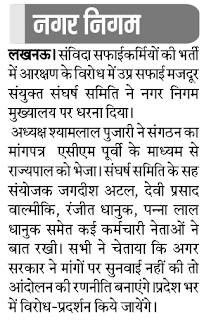 UP Samvida Safai Karmi Recruitment interviews will be held in November 2016. 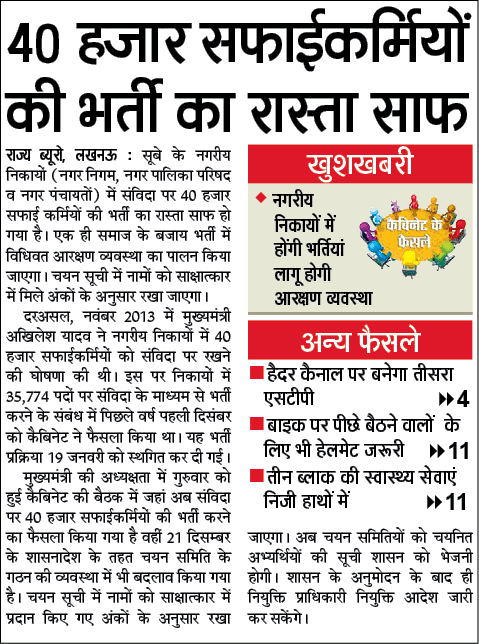 Admit cards are likely to be released in October's 3rd week. 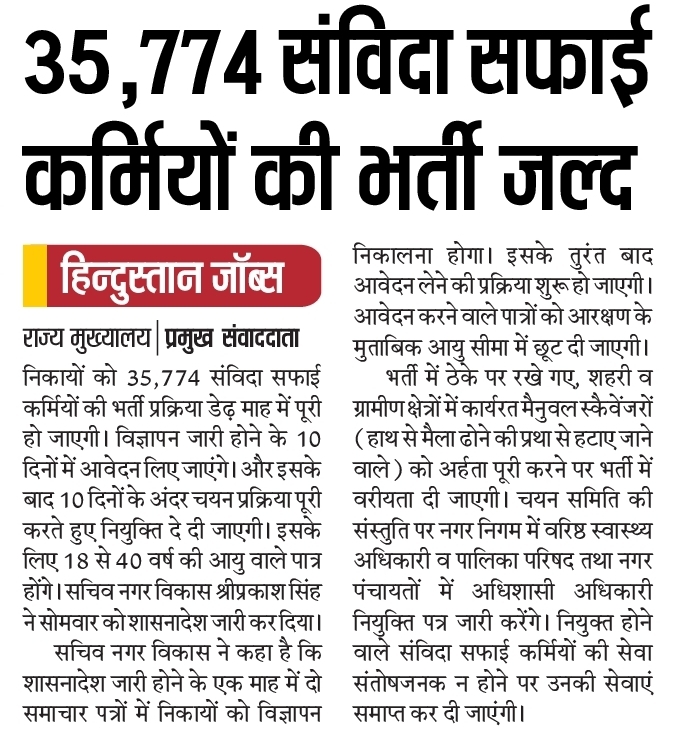 Uttar Pradesh Government is going to release an employment notification for filling 35774 Safai Karmi posts under Government departments, Municipal cooperation. These vacancies will be on contractual basis. Interested and Eligible candidates can apply from here as soon as the application process starts. 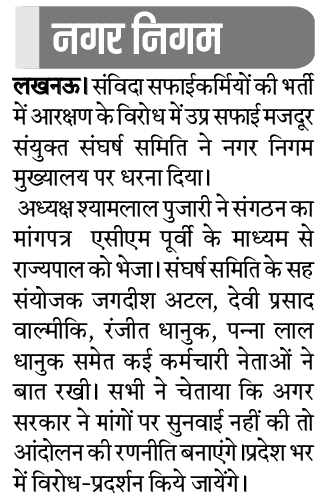 Uttar Pradesh Government had released the shasnadesh to conduct recruitment of 35774 samvida safai karmi / Cleaner posts. 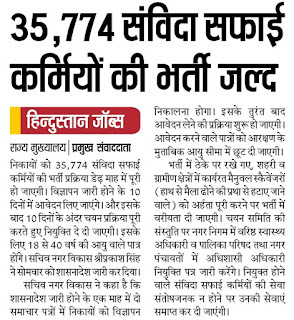 UP Govt had decided to complete recruitment process for 35774 Group D/ Safai Karmi in Government Departments in 50 Days. 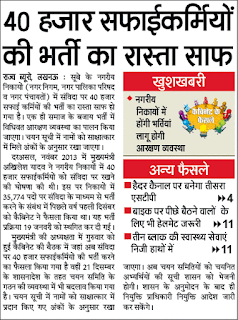 All these vacancies will be on contract basis and will be filled district-wise. The advertisement will be released on the official website as well as published in 2 news papers. 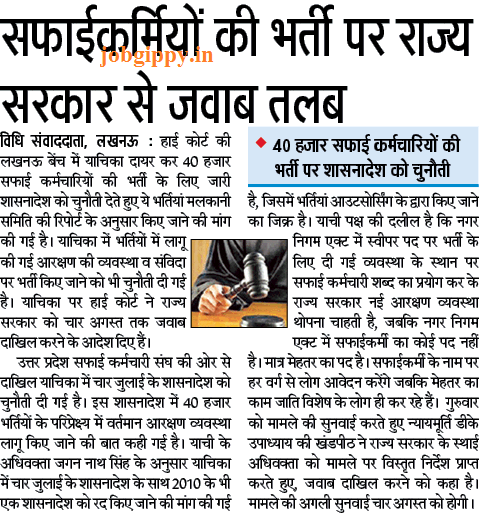 Salary - These safai karmi will be paid monthly salary of Rs. 14,910/- per month. Also 20 Casual Leaves for Male & Female Health Workers will be granted. Also maternity leave for Female Workers will be given. Age Limit: Candidates age limit should between 18 to 32 years as on 01-01-2016. 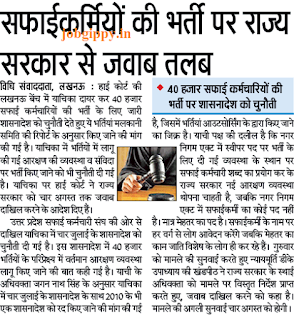 5 years of age relaxation is admissible for SC, ST SEBC and Women candidates and 10 years for PWD candidates. After the release of the advertisement, the application form filling process will start in 10 days. Eligible candidates can apply from here as soon as the application process starts. 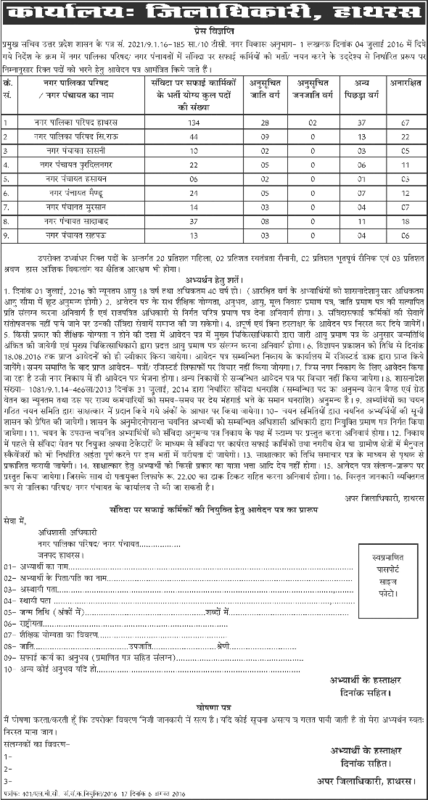 here are the expected dates of UP safai karmi vacancy 2016.